To any and all who have been waiting for a new blog post... Sorry! 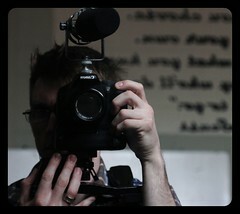 I've been hard at work on my documentary film, and will be incredibly busy with production for the forseeable future. But never fear-- I shall return to the blogging world eventually. I mean, how could I not review the biggest disappointment of the past year? Coming Soon: Brat Productions "Carrie"
This week, I'll be attending a performance of Brat Productions new show "Carrie" for Withersin Magazine. Based upon the Stephen King novel (and the Brian DePalma film), the show is a twist on what you think you know about the prom queen soaked in pigs blood we've all come to know, love... and laugh at. In this adaptation, approved by Stephen King himself, Erik Ransom plays the telekinetic teen, alongside a cast of notable Philadelphia actors. 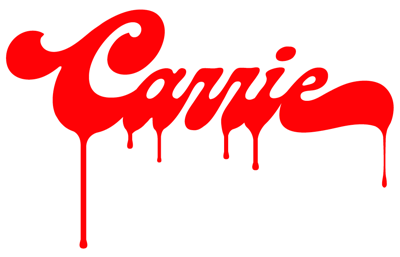 Directed by BRAT's Producing Artistic Director Michael Alltop, and featuring some of Philly's leading designers (including a 3-person special FX team), Carrie delivers all of the thrills of the original bestselling novel with surprising and hilarious new twists. Save the date for a prom night you’ll never forget! So, it should be an interesting evening. 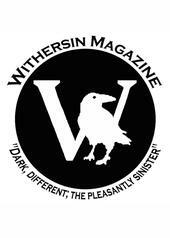 I'll be reviewing the show for Withersin, but my thoughts will also be posted here, on the trusty old (incredibly neglected) blog. 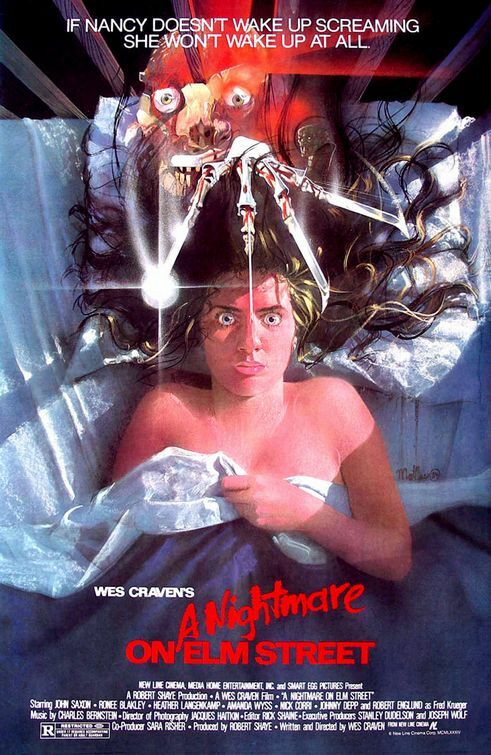 With the Platinum Dunes remake having been released just a few weeks ago, I've heard a lot of people say that they either haven't seen the original "Nightmare on Elm Street" in a long time or, *gasp*, they have never seen it at all! Scandal! Come on people... this one is worthy of at LEAST two viewing a year. Should be federally mandated, actually. 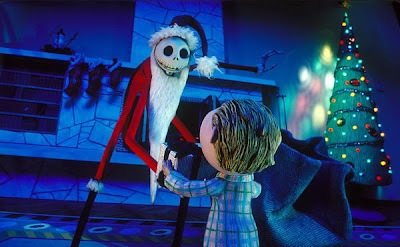 And while it wasn't quite sacrelige, I do think the remake lost a bit of the charm and gut-punch scares of the original. And sure-- perhaps the reason the original stands out so much for me is that I was just a kid when I saw it, but you know what-- I just bought the original on blu-ray and I'm happy announce it totally holds up and still made me poop my pants. Not sure why I'm happy to announce that last part... but I digress. Check out the trailer for the original. It's truly a classic horror film and a cool trailer to boot. P.S.-- I like Jackie Earle Haley and all, but who are we kidding? Robert Englund is Freddy. End of story. So, here are my Oscar picks. No fuss, no muss. It' sort of a blah year in terms of nominees. 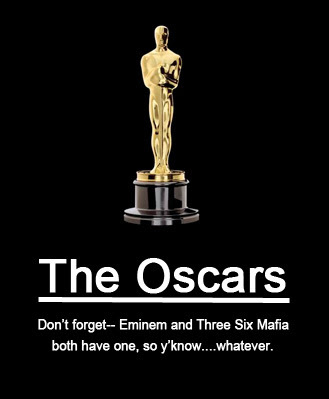 But then again, it's the Oscars-- there usually aren;t many upsets. Still, I'll be watching on Sunday. And here is who I think will be bringing home the gold. Trailer: M. Night Shyamalan's "The Last Airbender"
The full length trailer for M. Night Shyamalan's latest film The Last Airbender was just released and it looks fantastic! The film is based on incredibly popular anime Avatar: The Last Airbender. And, though the film dropped the word Avatar from the title (for obvious reasons), I think The Last Airbender is actually a better title. Take a look at the trailer below (in glorious HD) and tell me you won't be there July 2nd! I know I'll be there... but then again, I always go to the movies for my birthday, which happens to be July 1st. And yes-- presents will be accepted. But, he does make a few rather salient points. I have an iPhone, a MacBook and a Kindle. Why would I want an iPad? What use is it to me? Don't get me wrong, I think it's cool. Very cool, in fact. I just don't foresee jumping on any bandwagons hastily. I'll give it a few years and a few iterations so they can work out bugs, give it a real operating system and add in several other much needed features. 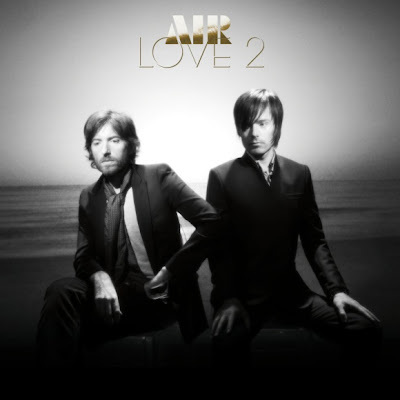 Song of the Week: Air "Sing Sang Sung"
This week's song comes from Love 2, the latest album from the French band Air. I've been listening to Air for quite some time now. In fact, this March will mark the fourth time I'll see them in concert-- their live show really is that good. They have a sort of mellow, electronica sound. You can put on just about any of their albums and just let it play through to the end-- something that can't be said for a lot of bands. Anyhow, I believe "Sing, Sang, Sung" is the first single released form the new album, and it's quite good. I'd say that I've had the song on loop, but really it's been the entire album. Give it listen. Yeah, so my "best of" list is a few days late. So what. Wanna fight about it? I'm going to keep it short and sweet. In fact, the list is not even really in any order. It's just the ten films that I enjoyed most this year. 1.) The Cove - I'm a huge animal rights guy, and this was one of the more well made and moving documentaries I've seen in a while. Brutal and heart breaking. 2.) Drag Me to Hell - Sam Raimi's Brand of Old School Horror. Saw it twice in the theater and twice on blu-ray so far. Fantastic! 3.) Inglorious Basterds - Great upon first viewing, and infinitely re-watchable. The Bowie song alone makes the film. 4.) Anvil: The Story of Anvil - Seriously touching portrait of friendship, faith and truly never giving up on a dream. Another extremely re-watchable film. 5.) District 9 - Refreshingly inventive Sci-Fi. Despite early reports, it's not necessarily a game-changer for the genre, but Neil Blomkamp is what Michael Bay only wishes he could be. 6.) Pontypool - My favorite horror film of the year. Neat twist on the zombie genre that plays out through what you hear more than what you see. Terrific film. Oddly not yet available on DVD or Blu-Ray in the U.S. 7.) Watchmen - I wasn't the biggest fan of it in the theater, but upon repeated blu-ray viewings at home I have really come to enjoy this film. And-- is it seriously not on anyone else's top 10 or even 20 list? It was released this year, correct? Screw it. I'm a genre guy. It's on my list. 8.) Coraline - A bit dark for the kiddies, but for anyone who enjoys Tim Burton-esque dark fairy tales, you'll love it. 9.) Where the Wild Things Are - First film in years to actually elicit tears from my cynical eyes. Especially meaningful if you are a child of divorce, or of a single parent. 10.) Up - Pixar continues its streak of solid films. Third act was a bit typical, but enjoyed the film overall enough to warrant a spot on the list. 1.) 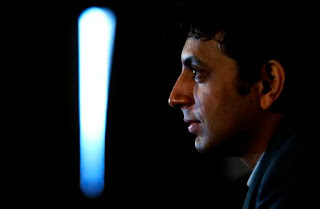 The Road - Looks interesting and depressing. Not necessarily in that order. 2.) Bad Lieutenant: Port of Call New Orleans / My Son, My Son What Have Ye Done - Werner Herzog. That's more than enough reason to see these two. 3.) The Hurt Locker - I'm not so hot on the contemporary war films as of late, but I have to admit that I want to see this one. And I like Jeremy Renner, too. 4.) Fantastic Mr. Fox - Too many people whose opinions I hold in high regard raved about this for me not to want to check it out. I think it'll be a blind buy on blu-ray release day. 5.) The White Ribbon - Call him pretentious, but I think Haneke is tremendous filmmaker. 6.) Antichrist - I really wanted to see this from the first trailer. Sadly, I just didn't have a chance to. DVD will be released soon, I hope. 2.) Food, Inc. - I'm something of a health nut, and I thought I'd love this film. Don't get me wrong, it was okay. But that's it-- just okay. 3.) Zombieland - Yeah, the cameo was great. It was okay overall. Still liked it, but it could have been so much more. 4.) Avatar - Yes. It was that underwhelming. My gift to all of you is the hilarious Carol of the Bells segment from the California Raisins Holiday Special. The variety of weather we get here is one of the only reasons remaining for me to actually enjoy living in Philadelphia. This weekend we were hit with upwards of 17 inches of snow. I love that. And this pretty much assure us of a white Christmas because there is no way all of this will melt before Friday. Although, it may be more of a murky, grey Christmas if the snow becomes that mushy, slushy crap that heavy traffic and rock salt usually turn it into. Eh, oh well. For now, I'm enjoying staying inside and watching movies. 28 years old, Writer, Lifelong Philadelphian. 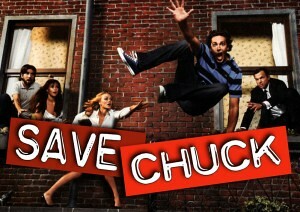 Click here to save "Chuck"